Pour ce 3ème dimanche de l’Avant, nous nous associons au message apporté par le Révérend Mary Ellen DOLAN, lors du Service of Nine Lessons and Carols de Christ Church Charleroi le 11 décembre 2011. 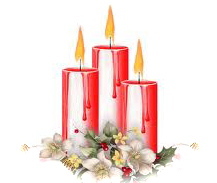 This Third Sunday of Advent is traditionally the Sunday of joy or rejoicing. The first two readings especially witness to this joyful response to God and to one another. 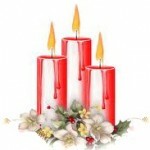 We are already in the middle of Advent, Christmas is two weeks away. Being in touch with people here and there around the world, I have been reminded of the different ways the spirit of Christmas is expressed: Americans say « Merry Christmas, » the Irish say « Happy Christmas, » and the French and Germans wish each other a « Joyful » Christmas. They are closest to the mark, I think, for we are called to rejoice in the Incarnation of God in Jesus. This is the essence of the Christmas feast. The readings today reflect the complexity of the joy that is in us. Isaiah says, « I will greatly rejoice in the LORD, my whole being shall exult in my God; for he has clothed me with the garments of salvation, he has covered me with the robe of righteousness », a call to the people to celebrate God’s saving Mercy. Isaiah tells the people to rejoice because the Lord « will faithfully give them their recompense, and I will make an everlasting covenant with them ». God has chosen to save them: to renew them in his love; to remove disaster from them; to bring them home. This is what God does for us: without our doing anything to desserve it, God delivers us from our own joylessness and fills us with his Mercy and love. Jesus’s cousin John also proclaims that God is coming among us to save us. But John reminds us that, having been promised such a great gift, we should prepare; more specifically, that the Saviour is coming and we should be ready to receive the salvation he offers. Although we can do nothing to merit the salvation Jesus comes to give us, we cannot arrogantly assume that there is nothing we have to do in return. We need to make straight the path between ourselves and God; repent of our sins; give thanks for God’s gifts; rejoice in aIl we have. The prophets call us to bear fruit worthy of the repentance we owe to God. We do not all have to run off to the desert and eat berries and look pious. That is an arrogance all its own if we are not specifically called to it. What we know we are called to do is to practice justice and mercy wherever we find ourselves: in our homes, our workplaces, and our communities. We are called to live each day as if our baptismal covenant were at the center of our plan for our daily living: joining in common worship; resisting the evil that is all around us; proclaiming the Gospel by our example; seeking to serve God in others; loving one another; working for justice and peace; respecting everyone’s human dignity. We can do all these things with God’s help. When we act justly and respectfully, we experience the joy that the Lord gives. When we look around and notice that we have so much and that others have nothing – and we try in whatever small or bigger way to balance the scales, we have a reason for rejoicing. We remember that we do not earn our salvation – we give thanks for it. We continue to ask God for what we need, but we ask in a spirit of Thanksgiving for what we already have. « Rejoice always, pray without ceasing, give thanks in all circumstances; for this is the will of God in Christ Jesus for you. Do not quench the Spirit. Do not despise the words of prophets, but test everything; hold fast to what is good; abstain from every form of evil. The prophets and the apostles, the voices of the Church, echo the voice of God when they tell us that we must look beyond ourselves toward the well-being of the whole human family; that we must reach beyond ourselves in sharing with others; that we must raise our hearts beyond our needs and desires to acknowledge that God became human for us to give us JOY. Isaiah, one of the greatest prophets of Israel, expresses this joy in Chapter 12. It is what we call the « First Song of Isaiah and you can find it on p. 86 in the Prayer Book. 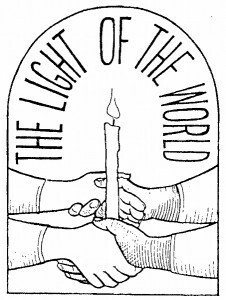 » ln this time of Advent we are called particularly to the joy of being the beloved of God. This is not the false « »joy » » of « »fun » » and « » partys, » » but rather a conviction that, no matter what we are living, be it happy or sad, God’s love dwells within us giving us life, strength, and the wisdom to guide our way. It is this interior joy that flows out into the lives of those around us: parents, partners, children, friends, colleagues. It is the joy we experience and give when we share what we have with those who have nothing. It is the joy of peace offered and shared. Above all, it is the joy of our faith which comes from the certainty that God loves us: that God loves us enough to come to us and to share our human experience; that God calls us and leads us to a joy that is eternal – our sharing in the life of our God who loves us so totally as to bring us into his presence now and for ever. It is Christmas Joy – the coming of Emmanuel – God with us. Amen. Ce contenu a été publié dans Prédication par admin, et marqué avec Avent. Mettez-le en favori avec son permalien.